Find more from this author at All That is Interesting a part of the PBH Network. Subscribe to their newsletter here. Sam Patch: Before Evel Knievel was a twinkle in his father’s eye, Sam Patch was thrilling audiences across America. As a child laborer in Pawtucket, Rhode Island, Patch would entertain his friends by jumping off the mill dam. By 1827, now living in New Jersey, his increasingly higher jumps had started to attract large crowds. Wanting something more than the life of a mill worker, the 22-year-old Patch began a jumping tour across the then 24-state Union. 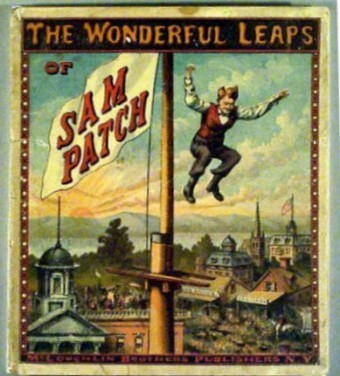 “Sam Patch the Yankee Jumper” quickly became a household name, and his catchphrase “Some things can be done as well as others” became popular among his fans. A whopping ten-thousand people came to watch him jump from a cliff near the base of Niagara Falls. Shortly after, another eight-thousand came to Rochester, New York to watch him jump the 99 foot Genesee Falls. Before jumping this one, he tossed a bear cub over to see if it would survive. When it did, he jumped. Tragically, Sam died attempting to one-up his jump into the Genesee a week later (Friday the 13th, November 1829). This time, he built a platform to raise himself up even higher (an extra 25 feet). Though he normally pencil dived feet first, Patch apparently lost his balance as he smacked sideways into the water. His biography inspired poems, stories, and series of plays, and even touched President Andrew Jackson, who named his horse after America’s first infamous daredevil. 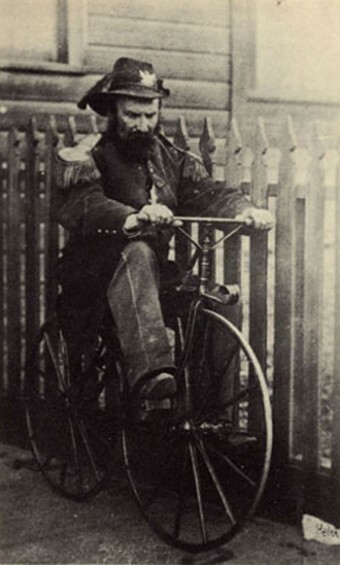 Joshua Norton: Either a visionary performance artist or severely deranged, Joshua Norton earned extraordinary local fame in San Francisco when he declared himself Emperor of the United States. Initially a shrewd and successful businessman, Norton went bankrupt on a poorly timed investment. On September 17, 1859, he issued his proclamation to every newspaper that he was seizing control of the whole country. It was printed for humorous effect, but Norton became an instant celebrity across the city. For the rest of his life, newspapers eagerly awaited his next proclamation, and even fabricated several. Some of Norton’s authentic proclamations hint at a prophetic genius, calling for bridges and tunnels connecting Oakland and San Francisco, a body resembling the League of Nations, and religious tolerance. Despite his total destitution, Norton regularly dined at the best restaurants and had reserved seats at many performance halls. He printed his own money, which many merchants regularly accepted. Following public outcry over an arrest and attempt to have him committed, Norton was freed and the arresting officer forced to apologize. Thereafter, a decree went out requiring policemen in the city to salute the emperor when they saw him. Norton died in poverty, collapsing on the street early in 1880. In his apartment was found fake correspondence to and from international royalty and fictitious treasury bonds at 7% interest. City businesses organized a funeral fund and Norton was buried in a rosewood casket after a two-mile procession, silently watched by tens of thousands of his mourning subjects. Annie Taylor: For decades, the Holy Grail of American thrill artists was a successful tumble over Niagara Falls. 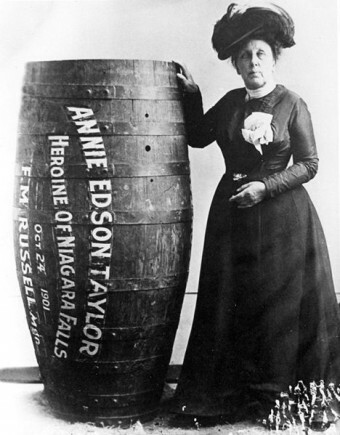 On October 24, 1901, Niagara was conquered by a 63-year-old teacher. Widowed and her only child dead, Annie Taylor was desperate to avoid the poor house. After reading about tightrope walkers over Niagara Falls, Taylor hatched a plan to attract fame and fortune. With tens of thousands of witnesses, she was nailed into her barrel and sent over the falls. Twenty minutes after she dropped, she was found and freed to deafening applause. Fame followed quickly for “the Queen of the Mist,” but fortune was never to be found. Though she briefly made a living talking about her feat, her manager ran off with the barrel. She lost all of her money trying to get it back and never managed to secure it. Tragically, she died in the poor house.